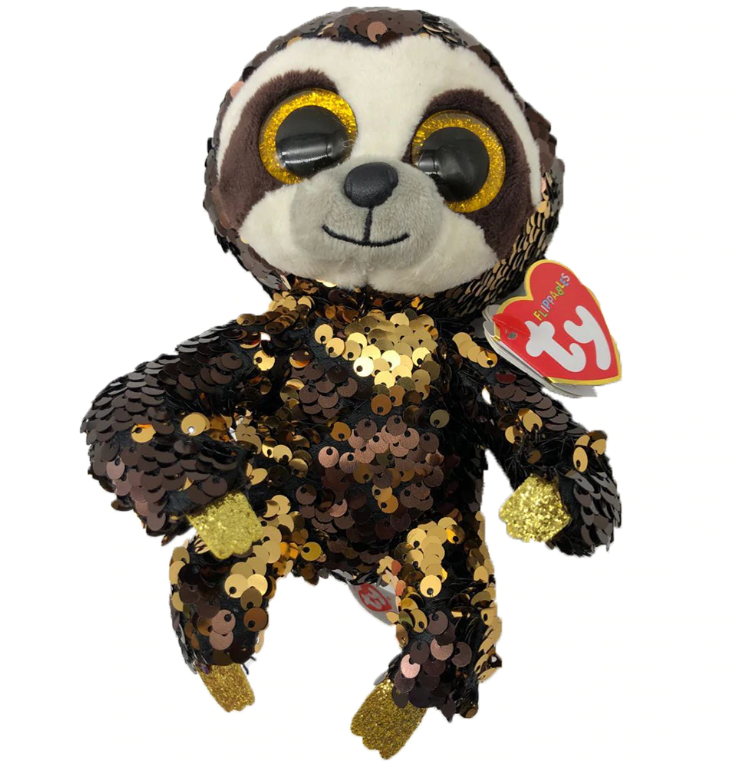 Dangler is a sloth covered in flippable sequins that alternate between brown and gold. He has large, glittery gold button eyes and a black button nose. Dangler’s face is cream coloured and has two bands of brown over his eyes. His hands and feet are sparkly and gold. I hang upside down and swing in the breeze! Danger was released in January 2019. His Birthday is on 22nd February. The is the 6″ Flippable version of Dangler. He as also released as a medium 9″ Flippable. Dangler was also released without flippable sequins as a small 6″ Beanie Boo, a medium 9″ Beanie Boo Buddy and as a key clip.